Elnet-tækni ehf er umboðsaðili Rohde & Schwarz á Íslandi. Rohde & Schwarz er einn stærðsti framleiðandi mælitækja í heiminum og er einn þeirra virtasti og má nefna að flestir aðrir framleiðendur nota mælitæki frá þeim til að stilla framleiðslu sína. Einnig eru þeir brautryðjendur nýjunga á fjarskiptasviði og vinna þar með Háskólum um viða veröld í þróun nýrrar tækni. The R&S FSH3 is a handy, robust and portable spectrum analyzer for rapid and cost-effective signal investigations. 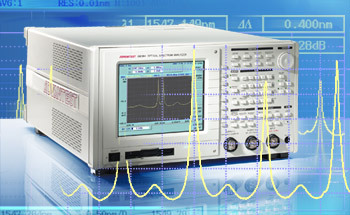 The Signal Analyzer R&S FSQ is based on the tried and tested R&S FSU family and extends the IQ demodulation bandwidth to 28 MHz, thus opening up new application areas. Semiconductors, lasers, optical fibres, WDM, DWDM; the ever expanding number of applications for optoelectronic devices demands absolute accuracy for measuring optical parameters. We offer a comprehensive line of high performance and cost-effective products for optical measurements for use in R & D, production, calibration, industry, and professional training. Our line of products is continually updated to keep pace with the latest developments, providing wavelength and power meters, spectrum and network analyzers, and ultra-long-haul Coherent and Dispersion time domain reflectometers. 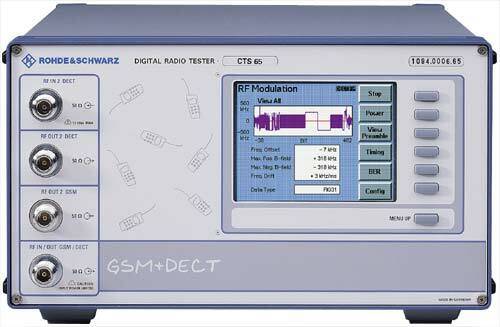 Digital Radio Tester CTS is an extremely compact, modular yet powerful measuring instrument. It combines great ease of operation and the necessary test depth for use in all service areas for mobile and cordless phones: from a simple functional test to repairs. Both the newcomer and the service specialist will be able to conveniently carry out fast automatic functional tests as well as complex and comprehensive manual measurements down to component level. CTS55 simulates a GSM base station and can completely control the mobile for testingpurposes. The following measurements and tests can performed by automatic test routines or manually. CTS-Go is a free application software, which gives the user an example of the CTS capabilities, which are available under remote control. All above listed functions are accessable from an external Windows based PC via RS232 interface (requires option CTS-K6).